Clarke MacArthur won his arbitration hearing with the Atlanta Thrashers when he was awarded $2.4 million in salary for the upcoming season. As a result, the team walked away from the payday, making MacArthur a UFA. The 25-year old MacArthur split time between the Buffalo Sabres and the Atlanta Thrashers last season, scoring 16 goals and adding 19 assists in 81 games. In 208 career games, the Llyodminster, Alberta native has 44 goals and 44 assists. As one astute commenter mentioned: "zero risk, high reward signing... same goal total as Scott Gomez for 6 million less." MacArthur fits what the Leafs have been trying assemble in T.O. He is a team guy that is a hard charger. He is not afraid to mix it up, but also has some skill too. At this point he also represents a bargain for Toronto, so... why not? 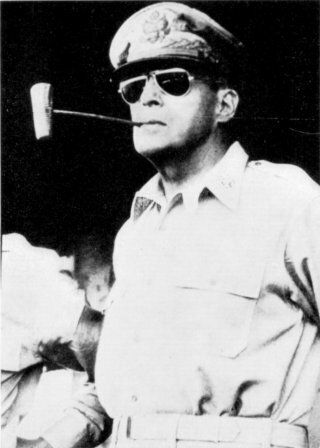 We were a bit disappointed that he didn't end up going back to Buffalo, as the whole General MacArthur, "I shall return" theme would have been so necessary!